One great thing about San Francisco is that you get used to finding things on the street. This morning, for example, on the way to a friend’s house I came across a box of books, and took a couple for myself, including A Wild Sheep Chase by Haruki Murakami. 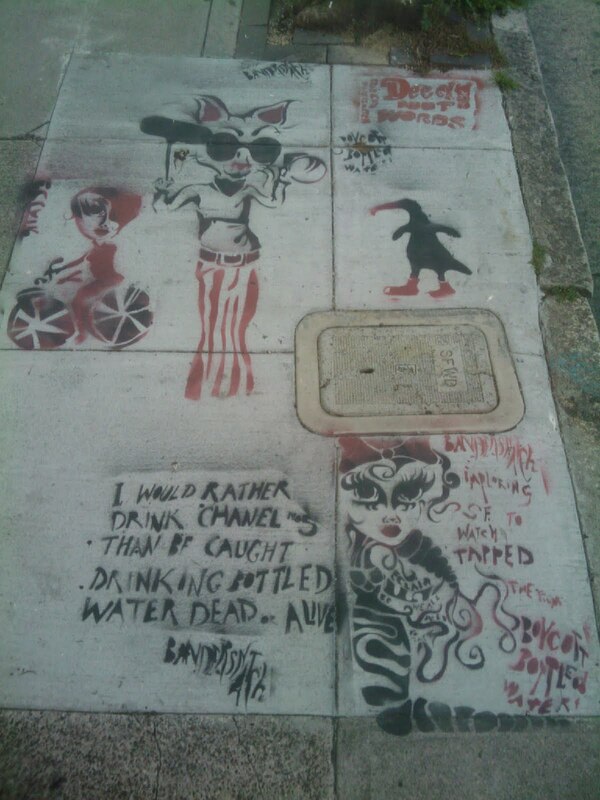 Bandersnatch imploring S.F. to watch Tapped the film. Above and to the left of the bicycle is the word “Eclair” mirrored. I’m intrigued. This may result in a new movie review in the near future.